Entangled Edge Release Day Blast – Escape Reality, Read Fiction! Edge is a digital-first single-title romance line (that’s a keyboard-full) from Entangled Publishing. Entangled Edge happens to have published several(!) 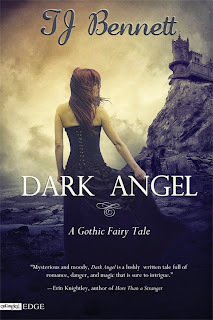 of my recent favorites, or be in the middle of publishing some of my current fave series (including the book I’m reviewing today, Hunter’s Moon by Lisa Kessler) so I’m happy to feature their October new releases. And they also publish one of my very big loves, science fiction romance. I’m eagerly awaiting one of the December releases. But this is the October list. Well mostly. Werewolves, rock and roll, vampires, and gothic fairy tales. All definitely stories with an edge. Or all sorts of edges. But all with romance. Sounds like fun. 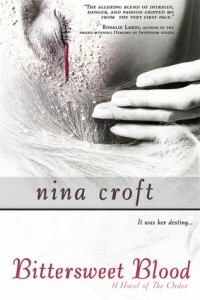 I couldn’t resist leaving the summary of Nina Croft’s Bittersweet Magic in the post, even though the publication date has been moved to November. It’s one I’ve been waiting for. If you want to find out why, check out this review of the first book of The Order, Bittersweet Blood. But, as they say, all’s fair in love and war. To find out more about all the Entangled Edge titles, chat with authors, participate in special events, and to find out what books are coming next, visit the Entangled website, follow Edge on Twitter, and like their Facebook page. Thanks for the giveaway. Interesting prizes!